At Sandez Family Chiropractic & Wellness Center, we balance the value of immediate care and pain relief, with a total commitment to providing a permanent, improved state of health. 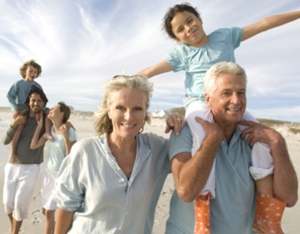 Our goal is to provide every member of families in Cary, Morrisville and the Triangle area with comprehensive care. We believe in Choosing Natural First. In a perfect world everyone would exhaust so-called “alternative medicine” before ever having to use drugs, having surgery or settling for other invasive procedures. There are many safe, effective and natural alternatives that 1) do not have side effects, 2) often reduce or resolve symptoms and 3) most importantly, improve function and overall health. Drugs often only mask problems, suppressing symptoms but never getting to the underlying source of the symptoms. Most natural therapies care for the person as a whole, getting to the CAUSE of the problems while maintaining health and helping prevent disease. In some cases, like a crisis or emergency, conventional/traditional medicine may be necessary and beneficial. In these cases, this is what we will recommend. Pain Reduction is Important BUT Improving Function is the Key. Would you prefer to simply mask your problems and suppress your pain or symptoms, potentially ignoring the underlying issue? OR would you like to fix the problem, get to the root of the pain and symptoms and remove the underlying cause? The quick and easy approach never lasts, but when you put time, energy and effort into a cure, lasting wellness will result. 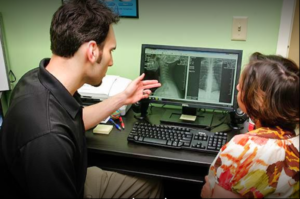 At Sandez Family Chiropractic & Wellness Center, our objective is to identify the cause of your problem. Our priority is to correct the cause, induce healing and restore optimum function. This is what our Wellness Model of Chiropractic Care, including massage therapy, is all about. We promote wellness, instead of just treating disease alone! We offer 3 Types of Care: Relief, Corrective & Wellness. Learn more! The primary goal at Sandez Chiropractic is to give our patients the guidance and tools they need to make healthy, sustainable lifestyle choices that will lead to optimum health. By taking a proactive approach to health, we are able prevent many problems and minimize the impact of those that arise. If you live or work in Cary, Morrisville, Raleigh, Durham, Apex, Holly Springs, Wake Forest, Garner, Chapel Hill, or surrounding Triangle NC area, communities, such as Sanford, Clayton and Fayetteville, and are interested to see how we can address your pain and improve your health and wellness, please contact us via our Online Form or call 919-535-3091 to set up an appointment today. No referral is needed to make an appointment. Most insurances are accepted and we file for you!